When you are driving in traffic and a car suddenly appears seemingly out of nowhere, the result often involves a trip to the auto body shop. Awilda Goodwin, paraprofessional at RMCTC, headed for the same destination recently but not because of a fender bender. Goodwin is a big fan of the Boscov’s Berks Jazz Fest and has volunteered at the event for more than 20 years. She enjoys using her creativity to make decorations for the festival’s various venues. 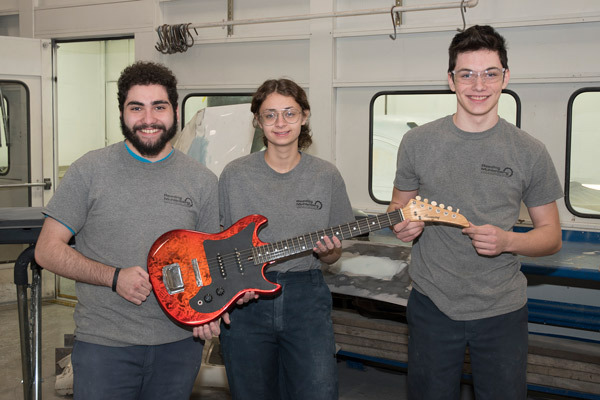 This year, event planners presented her with a well-used, somewhat battered electric guitar with the thought that she might use it in one of her musically-themed floral arrangements. That’s when she set her wheels in motion right down the hall to the Auto Body Repair program at RMCTC. She had an idea for a cool student project and was eager to share it with Todd Cassler, the program’s instructor. Three students stepped up to meet the challenge: Yashika DeGeorge and Joshua Gonzalez, both 12th-graders at Reading High School, and Robert Hamaker, a 10th-grader at Muhlenberg High School. They disassembled, cleaned, and sanded the guitar. After priming it, they applied a base coat and some interesting graphics. 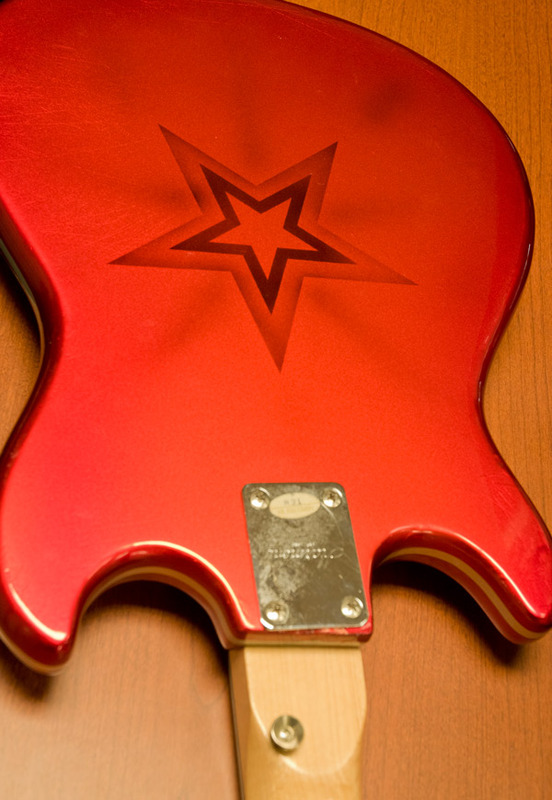 A clear coat of acrylic added a nice shine to the rich red-orange paint they used to give the guitar a whole new look. Finally, they reassembled the guitar and installed new strings. to refurbish an old guitar for use as a decoration at the Boscov’s Berks Jazz Fest. Now Goodwin will use the guitar as a shiny, eye-catching feature in one of her floral arrangements for the big music festival. 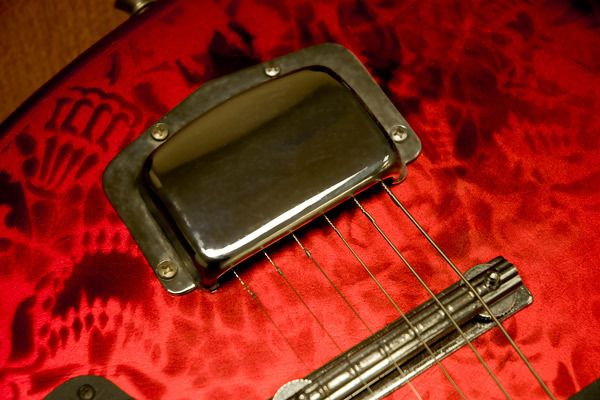 There, amid the popular musicians and their admiring fans, the guitar that went from junk to jazz will add its own high note of excitement to the festivities.